The NLMCC (Powering America) is dedicated to establishing a quality connection between construction users and NECA contractors and their IBEW counterparts through industry information and important contacts. 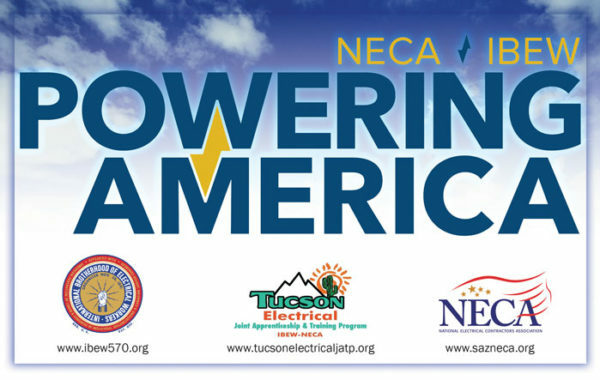 Powering America consists of IBEW craftsmen and their signatory contractors, including National Electrical Contractors Association (NECA) members, who are supported by the electrical training ALLIANCE. Powering America provides the industry with the talent needed to perform the critical duties of an electrician. to ensure that those working under this Collective Bargaining Agreement have the opportunity for continuing education directly related to the electrical industry through the TEJATP, IBEW, NECA and other means available.